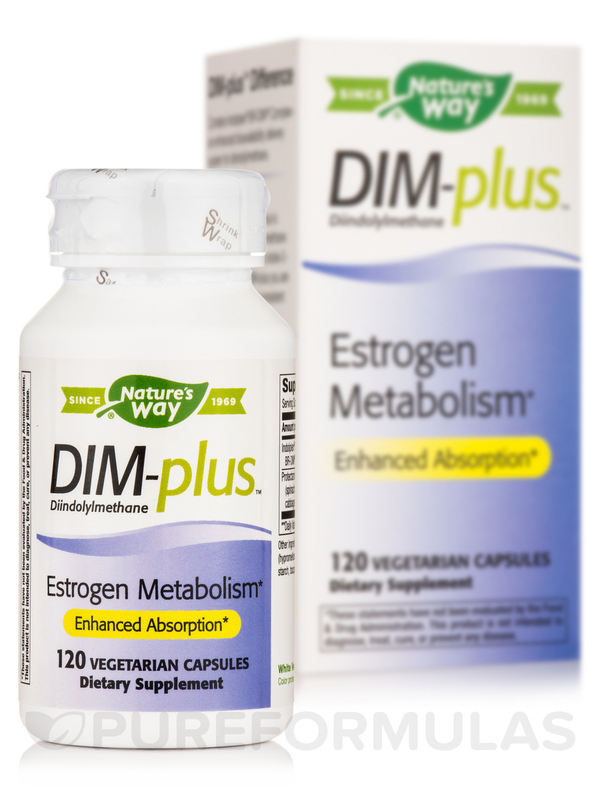 DIM-Plus by Nature's Way was recommended to me by a doctor for proper hormone balance. 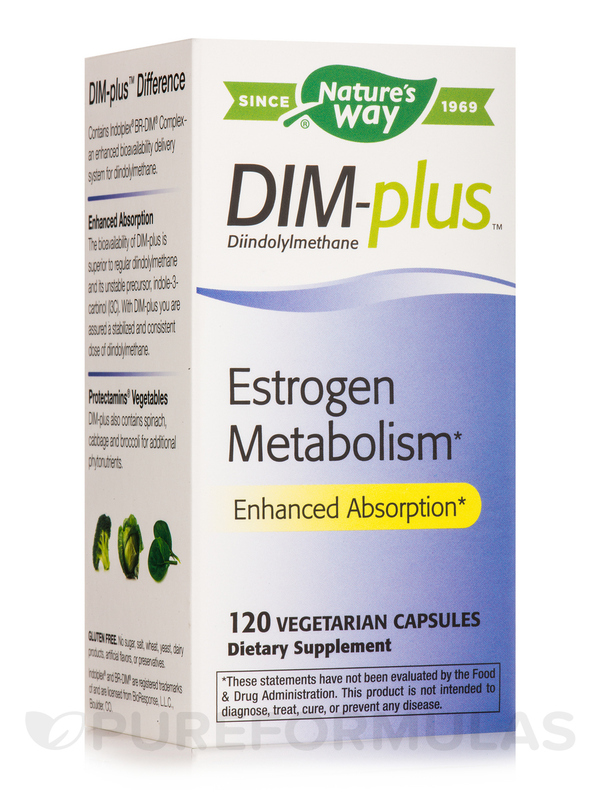 My hormones are definitely better since started taking DIM Plus by Nature's Way,I will be ordering again soon! 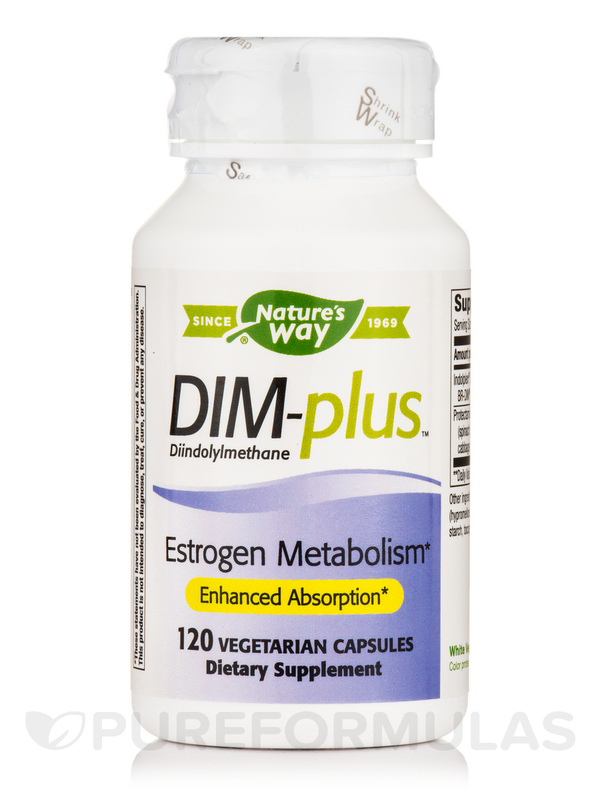 My natural doctor recommends DIM Plus by Nature's Way for proper estrogen metabolism. PureFormulas has the best price for it by far, with quick free shipping. 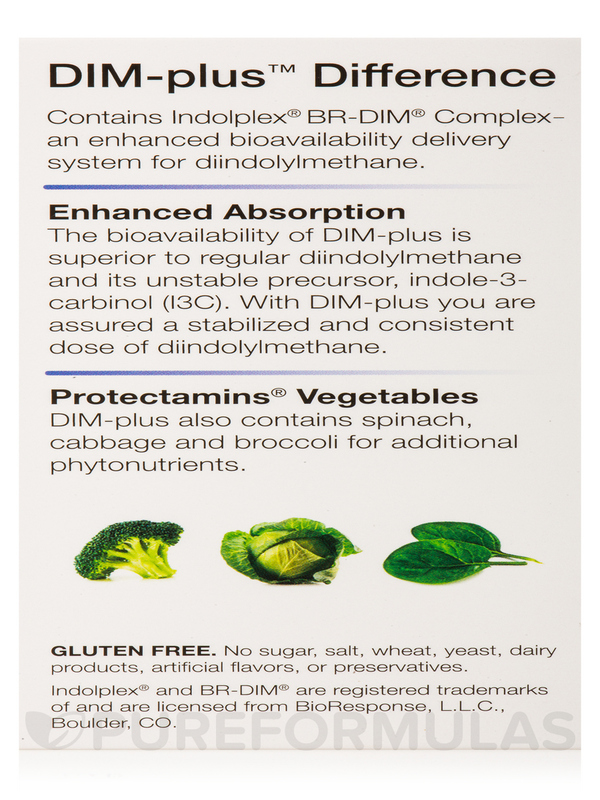 DIM-plus™ contains diindolylmethane‚ a phytonutrient found in cruciferous vegetables including broccoli‚ brussels sprouts‚ cabbage‚ cauliflower and kale. 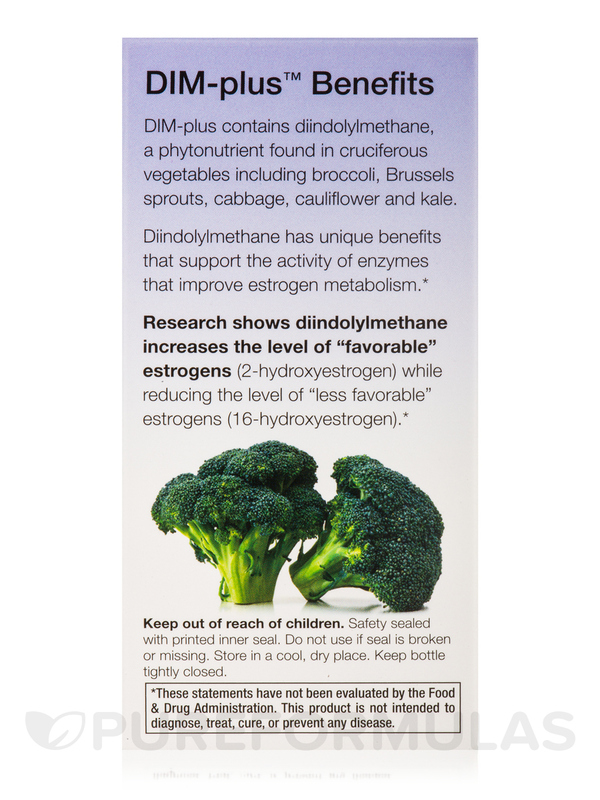 Unlike other plant nutrients such as soy isoflavones‚ diindolylmethane has unique hormonal benefits. 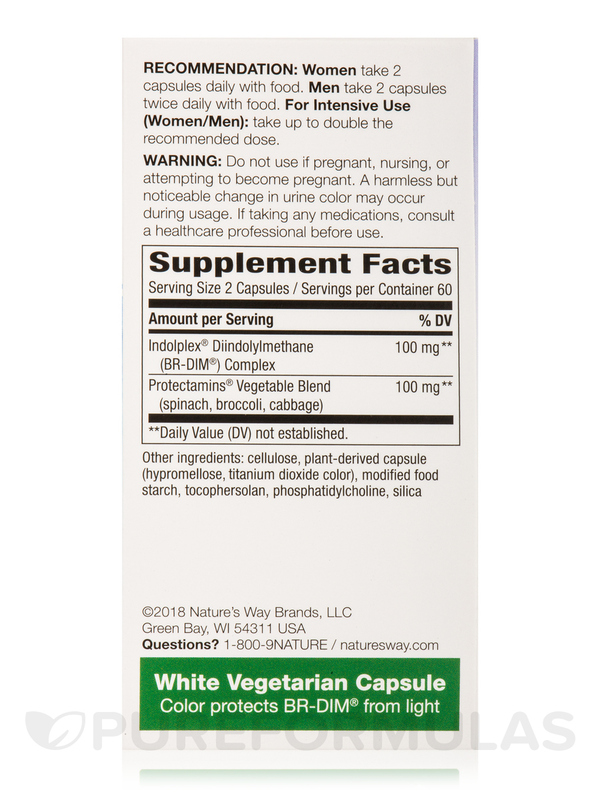 Prior to using this product I use to get really bad PMS symptoms for weeks (3-4) It was unbearable. My breasts would be extremely engorged and painful, I felt puffy all the time, extremely tired... since taking this product directed to me by my health care practitioner- I am basically symptom free. I've been on this supplement for a couple months and my hormones feel much more balanced. Plus no more extreme PMS. Amen! 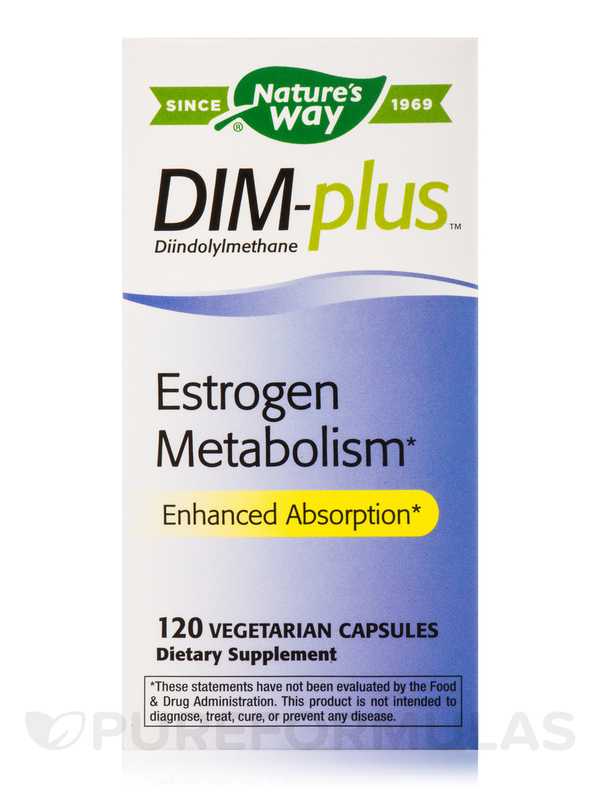 DIM Plus by Nature's Way really helps flush out excess estrogens. Promotes proper estrogen metabolism and good for breast health per my naturalist. I have been using DIM-Plus for about 6 months and have had good results. It has helped my testosterone levels per my MD. I have been using DIM-Plus for almost 1 year and have had great results. 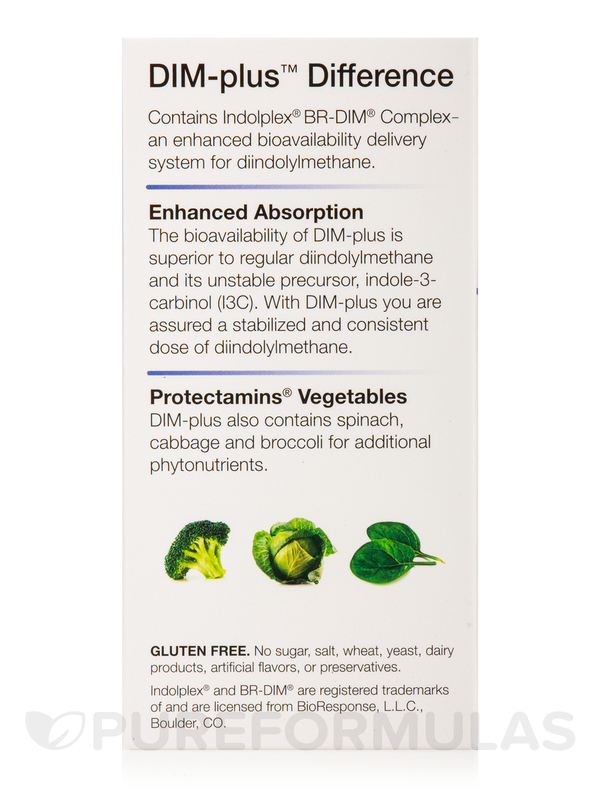 My DR. recommended DIM-Plus as a way of counteracting the side effects of using androgel. 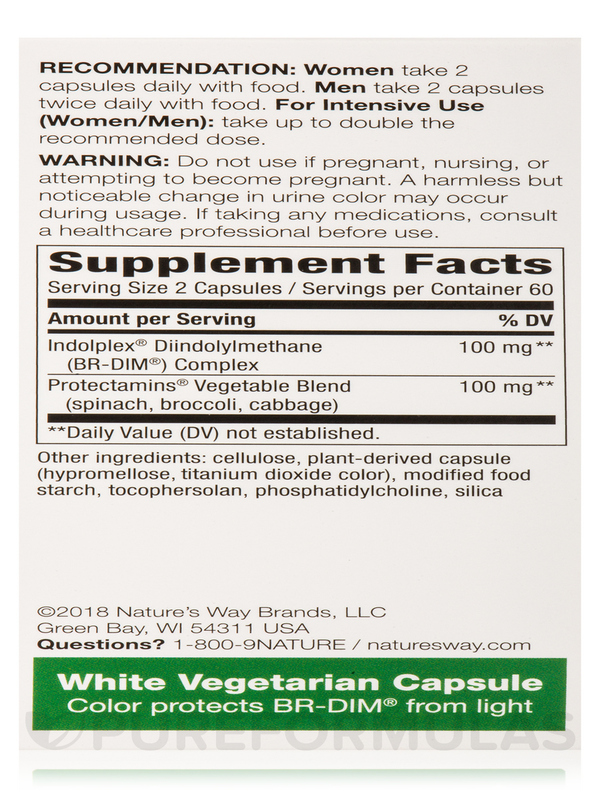 Natures Way is the brand I usually buy at Vitamine Shoppe. Pure Formulas stocking of this brand makes my ordering life simpler. My primary care physician supports my use of DIM-Plus. He is an Internal Medicine M.D. who prefers neutrients to complex pharmaceuticals. 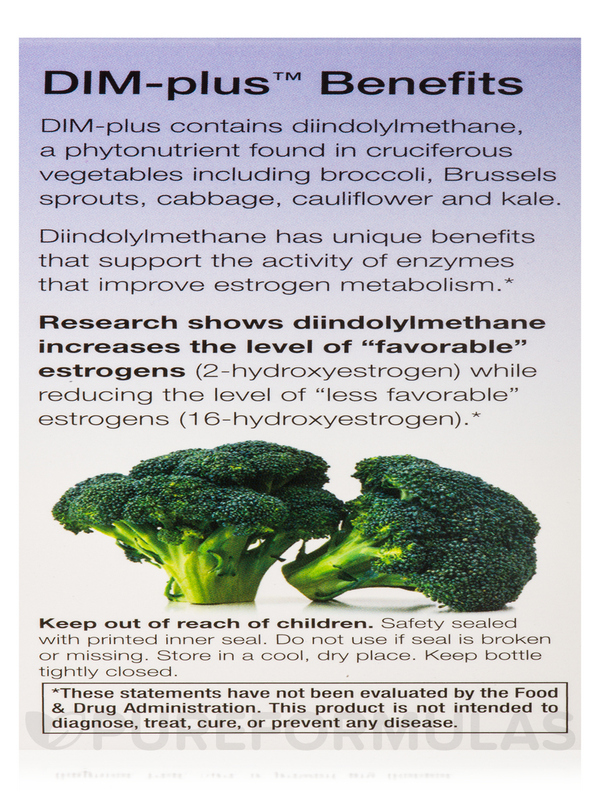 DIM seems to help with the hormonal shifts my body has been dealing with since I was 65 years old.